The Humanscale MFlex 2.1 Multi Monitor Monitor Arm System provides you with increased versatility during your work day. Effortlessly add more monitor arms without having to pull the existing arms apart - the simple and versitile way to grow. 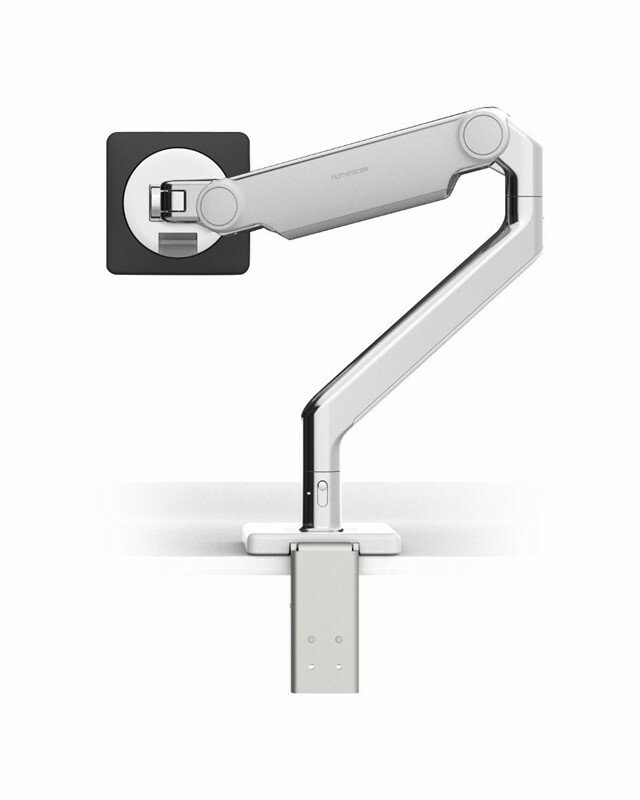 Based on the revolutionary Humanscale M2.1 arm the MFlex allows for full independent adjustment of each of the monitors. Can be used with 2, 3, 4, 5 or even 6 monitors. 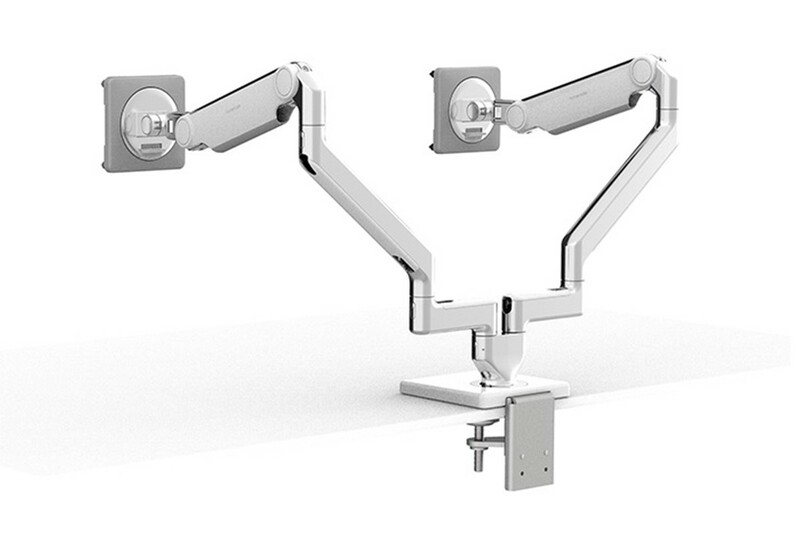 M/Flex 2.1 Multi Monitor Arm System. 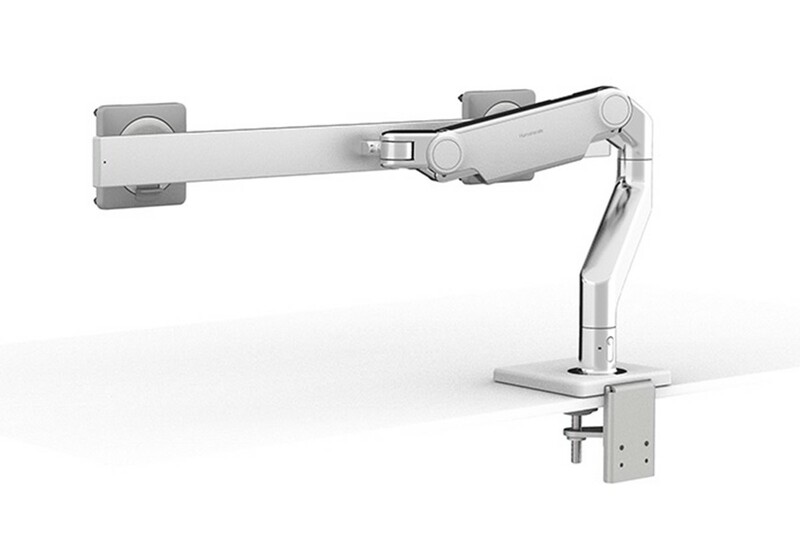 The Humanscale MFlex 2.1 is the world's best scalable monitor arm system. The durable system can safely secure up from as from few as two monitors up to six monitors at once. 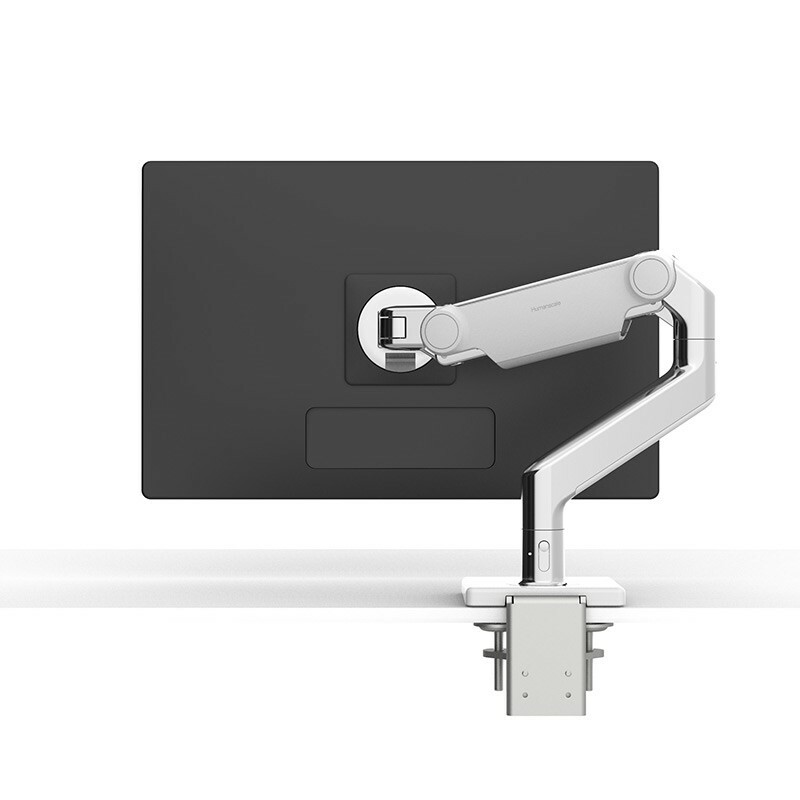 This multi-monitor arm system accommodates endless configurations and is fully compatible with Humanscale’s next generation monitor arms — providing all of the cutting-edge features of the line. Easy to install and simple to upgrade for an overall reduced cost of ownership, M/Flex is the most scalable solution available for the modern workplace. M/Flex’s modular design makes it simple to reconfigure and allows for independent adjustment of monitors when they are used separately — encouraging flexibility and collaboration at the workstation. By easily setting monitors at an optimal distance and height, M/Flex increases usable desk space and allows the user to work in a healthy posture throughout the day. Pricing and delivery time is dependent on the configuration you require. Contact Ergolink for details and pricing. Monitor Configuration 2, 3, 4, 5 or 6.